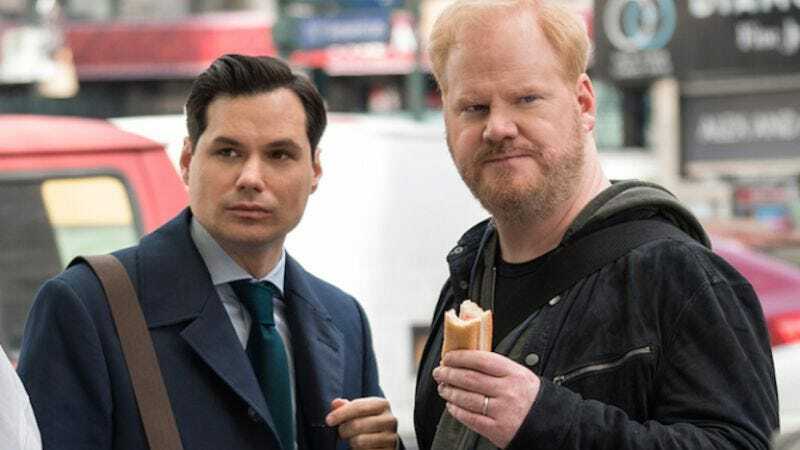 Jim Gaffigan had to clear a lot of hurdles to finally get The Jim Gaffigan Show on the air—he shopped his semi-autobiographical sitcom to the networks for years before landing at TV Land in 2015. The show has performed well in its new basic-cable home, suggesting that TV Land isn’t just the last refuge of the syndicated sitcom. The second season just wrapped, and now it looks like that’s all we’re getting of the Gaffigans’ onscreen family life. The comedian has announced that he and his wife Jeannie—who co-wrote many of the episodes, as well as directed—have decided to end the show after just two seasons. Although some reports indicated that the show had been canceled, Gaffigan clarified that the decision was mutual.